The typical “gateway” paper consists of observing the exposure of whether subjects (typically teenagers) have, at baseline, engaged in a particular behavior (vaping, in this case), and then observing the association with an outcome behavior (in this case, smoking). There is also an even worse collection of papers that do not even assess the order of events and simply look at whether prevalent ever-exposed status is associated with prevalent smoking. All of these suffer from the obvious fatal problem that a positive association is inevitable because inclination to ever vape is associated with inclination to ever smoke. Please find a very respectable looking article this morning. Rife in ad-homing some of the best people we have in our field and generally touting obviously coached narratives, in one of Sweden’s most respectable newspapers this morning. It is a bit of a read but at the bottom you will also find my reply to the article translated. Word document of translated article and my reply translated Translation SvD October 10 2018. Smokers who use a vaporiser (e-cigarette) are more likely to try to quit and are more likely to quit successfully than smokers who don’t vape. This was the finding from a study of 60,000 young adults (25-45 years old) in the US over a 10 year period from 2006 to 2016 (study details below). Smokers who were using vaporisers were 65% more likely to have quit smoking in the last 12 months than smokers who were not using a vaporiser. The following graph shows the dramatically higher quit rates during the 2014-16 period in those who vaped compared to those who did not vape. Our report on the global nicotine ecosystem is out! I would have expected better from Dr. Scott Gottlieb, the head of the FDA. He is both sharp and knowledgeable. Which makes it even more astounding that the ban of 7 food additives (artificial flavors) could happen on his watch. I don’t much care whether any of these artificial flavors end up in my tomato soup or not. With research about electronic cigarettes (e-cigarettes) rapidly increasing, this commentary addresses the conceptualization of e-cigarettes as similar to traditional cigarettes. The more we attempt to understand and measure e-cigarettes as equivalent to cigarettes, the more likely research may err in conclusions about these unique devices. Our commentary notes how using unique conceptualizations and measures for e-cigarettes will help accelerate new research. See also: Are e-Cigarettes Tobacco Products? 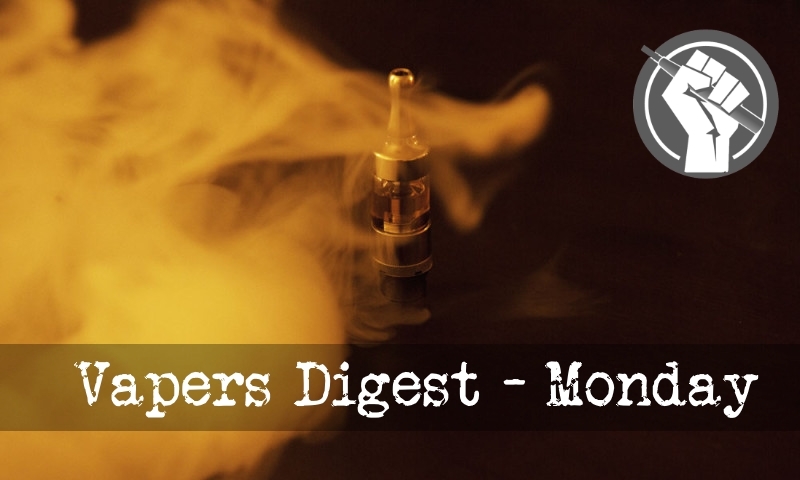 The commentary examined different studies of electronic cigarettes to better understand how researchers have been discussing the devices, and what substantial differences emerge between e-cigarettes and regular ones. The survey was conducted by Kantar Public, an integrated consulting and research agency, which was engaged by the Foundation for a Smoke-Free World, Inc. The Foundation is an independent, private foundation formed and operated free from the control or influence of any third party. Philip Morris International, S.A. has provided the initial funding to the Foundation. Another British medical organisation has come out in support of vaping as a safer alternative to smoking. In a surprising development from California, the state governor has blocked two bills that would have made it illegal to vape in many public spaces – the new law was judged “too coercive” even for Sacramento. Meanwhile the WHO and other tobacco control groups continue their attacks on harm reduction groups.